I continued to find the General Electric advertisements interesting in that it makes me wonder how long has the practice of news-vertisements been around. I remember seeing these in magazines that I used to read where there would be stories sponsored by or written by a company and it would be clearly delineated. With General Electric, they take out nearly full page ads and fill a good chunk of it with text and compelling imagery. They attempt to tell a story and through all of this, lure in the reader, whereas so many other ads in this publication keep it short and simple with maybe an image, big bold words, and the product. I wonder when this practice began, which companies practiced it and what the end result was. 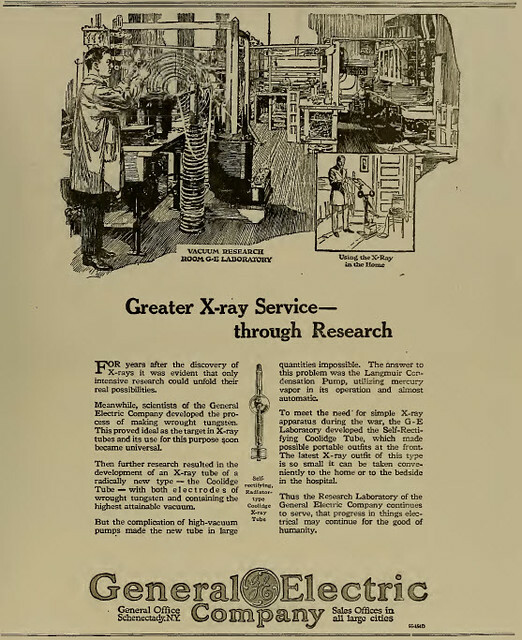 This piece uses X-Rays as a hook to get people interested in learning more about and potentially buying General Electric products in the future, but X-Rays doesn't seem to be a good product to offer in a student newspaper at a women's college--or is it just me?